The time has finally come, 2015 clutch kits are here so we can upgrade our clutches at a reasonable price. As I mentioned in the original inquiry, there are two kits available. The retrofit kit includes a the anti-judder spring, seat, turned friction plate, and a special heat-treated steel plate. The clutch plate kit includes the remaining 19 plates that make up the rest of the clutch. Shipping in the USA is free. International shipping is around $13 for the retrofit kit, and around $33 for both. I helped source the parts, but this order is through the supplier Britalia Motors. I don't have any parts for sale so all your sales questions should go through eBay. *As far as I can tell, the clutch plates in the 2015 are the same as my 2014. I am not sure if the 2013 is any different. 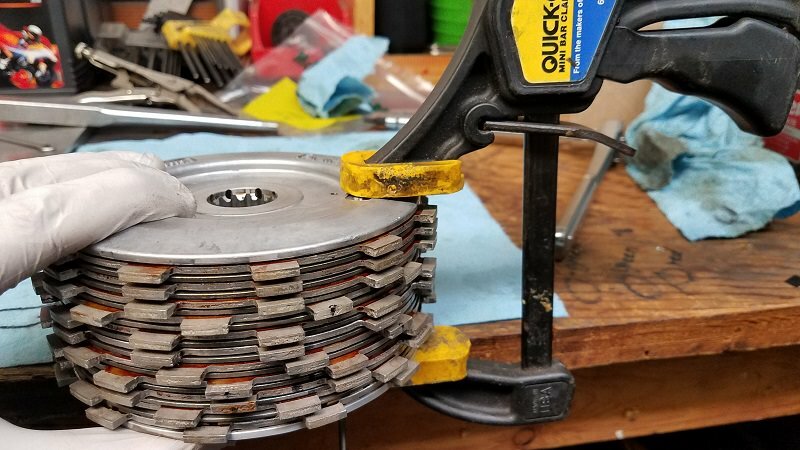 My clutch plates were in good shape at 14k miles, but I do almost no city riding and rarely slip the clutch, so you will have to decide if you think you want to do the full kit when doing this job. It took me about 4 hours total, spread out over a few days. If I were to do the job now, it would probably take 2 hours or so. 1. I found that I did not need to remove the brake pedal. 2. 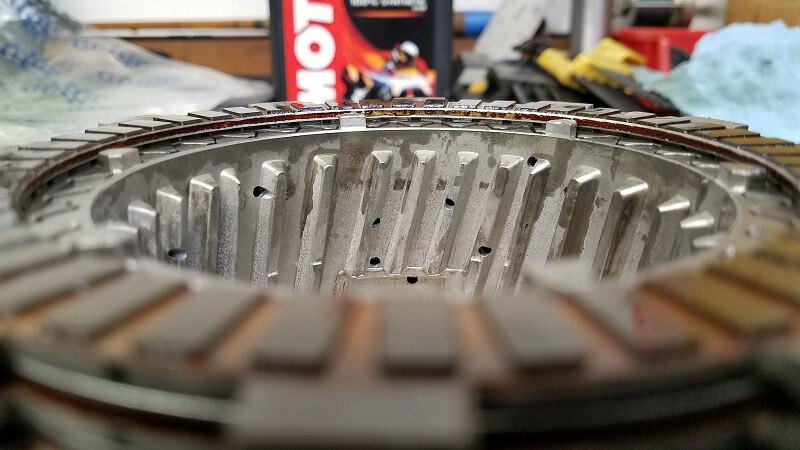 The torque spec on the clutch hub nut is 140ft-lbs. 3. Re-assembling the clutch pack is a little tricky since this clutch is unconventional. There are 4 clutch springs and 4 other (slipper assist?) springs. The M3 threaded rod is used to compress the pack so that you can install the 4 main clutch springs. It helps to do this upside down, so that the steel plates don't fall off the splines of the hub. 4. Mark the clutch hub and all clutch plates with a sharpie before disassembly so they can go back in the same grooves. I'm not sure it makes a difference, but is easy to do. 5. I had to loosen my belt cover to get the cover off. Not a big deal at all. I did notice how loose the belts are though. Definitely can't skip that belt job at 18k miles. There is some confusion about how the clutch should be assembled. The 2015 model year is the only year to use this arrangement, before Ducati completely changed the clutch design. Convention says to install the seat first. The service manual for the Hypermotard and Monster 821 both say to use Option A (or B). I used option A below, as did bayotte. This may be a workaround for Ducati until they could implement their new clutch design. The clutch itself is unconventional, relying on splines internally to increase clutch force and also perform the slipper function. I have only done about 30 miles on the kit, so take this with a grain of salt. I look forward to your input and reviews. Initial impressions are good. The clutch feels like a normal bike, and for the first time ever, I was able to take off from a cold start without that herky jerky movement or insane clutch feathering. The clutch feels very similar to my VStrom 650 now. Very progressive, easy to use. I am able to do a "race start" by revving the engine up and practically dumping the clutch while it progressively slips and grips, carrying the most epic skimmer wheelie all the way through 1st gear. It's amazing!!! I did about 10 of these just giggling to myself and looking like a pro lol. I could never do that before. There is one minor issue that I'm still trying to wrap my head around - that is there is a slight vibration when lightly feathering the clutch, such as gently taking off from a stop. 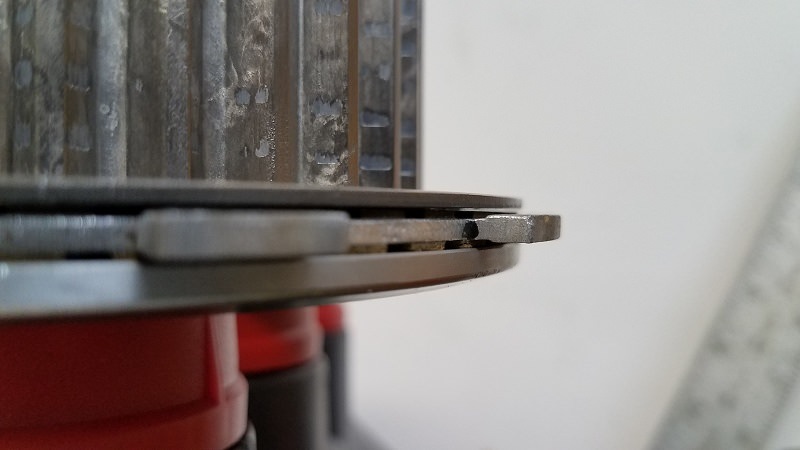 I am wondering if this might be due to me not putting all my clutch plates back the way they came out (oops) or something else. I am very interested if anyone else has this and if there's a solution. Since we're still in the early stages of this retrofit, there just isn't much info available. Please post your experiences here. Anyway... there ya go. It's a peculiar installation, very "Italian", but the end result is a nice improvement over stock. I hope our combined efforts will help out the Hyper community. 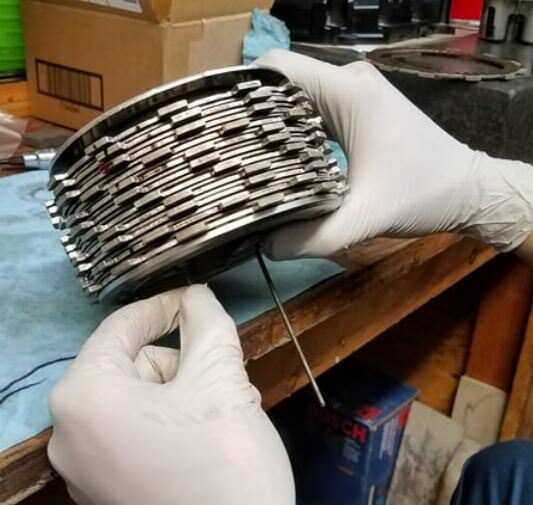 Got a comment... arranging the plates as the service manual shows puts the sharp edge of the anti-judder spring against the aluminum hub face. That would produce more wear than if it was against the steel plate, as in "C" the "conventional" arrangement. And I am pretty sure that the arrangement won't affect the clutch operation either way. That's what I originally thought, and that's what would make sense. However the dimensions of the parts and of the clutch hub prevent it from fitting together nicely unless you put the spring first. 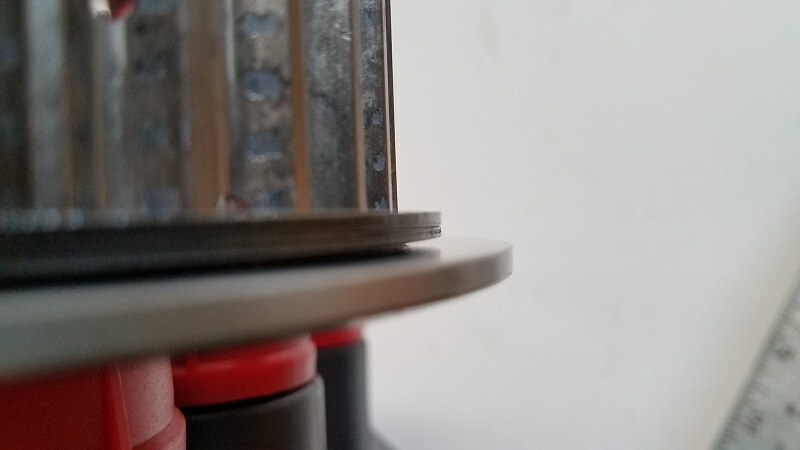 The spring fits snugly into a small lip on the hub, whereas the washer does not like to sit flush. The thicknesses are correct according to the service manual. I welcome your comments once you get the parts in hand. This is how I ended up assembling the clutch pack. Much easier than only using those little threaded rods. Make sure to align the arrows on the front and back of the two clutch hubs. My stackup looked like this with the anti-judder kit added, and two original plates removed. 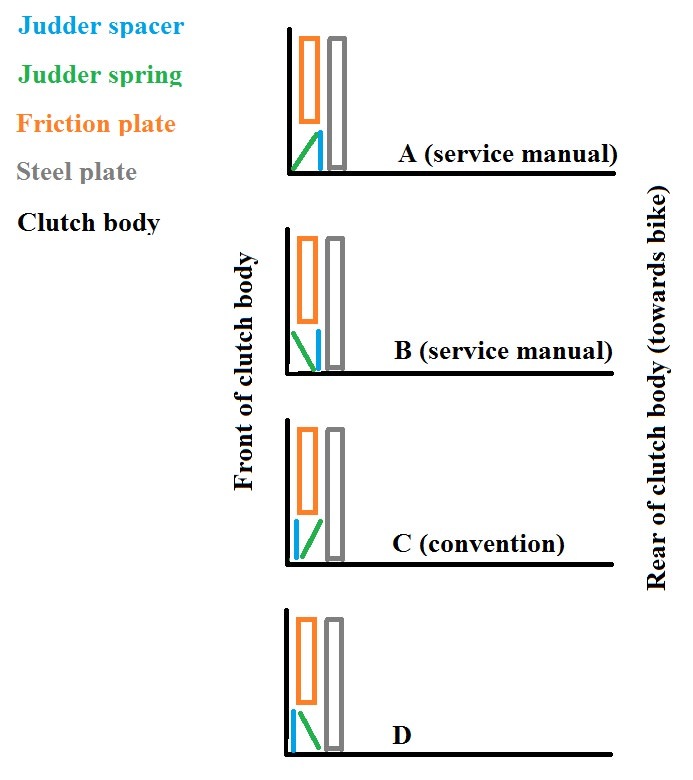 The judder spring keeps the first steel plate above the friction plate. This is the order that I installed them. what exactly is the problem? WOT? part throttle? certain rpms? 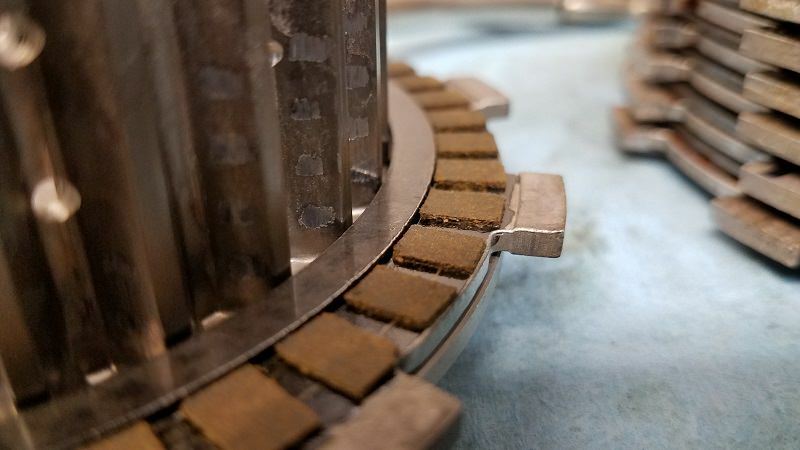 As you know if you have a 2013 or 2014, the original problem is that the clutch engagement zone is very narrow, which makes it very difficult to take off from a stop smoothly. The pulsing/vibration I am feeling since doing the upgrade only occurs from a stop when very lightly feathering the clutch. 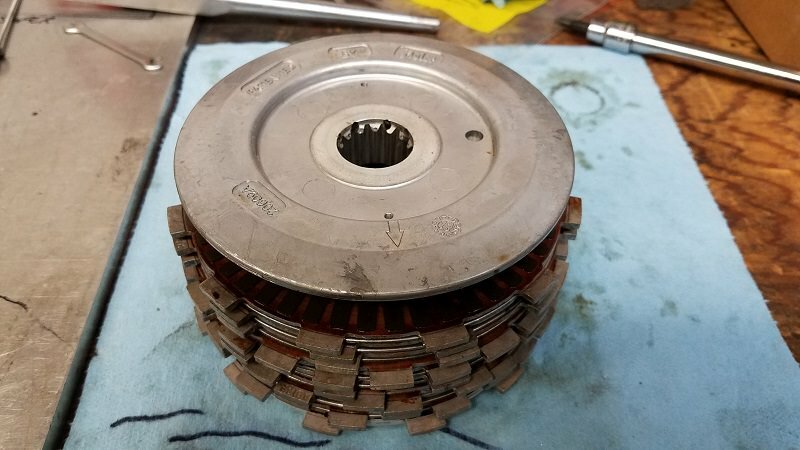 Another thought I have is that it could be due to me not putting my plates back where I removed them, and now they are catching on the small ridges of the clutch hub. I forgot to mark all the parts before removal. I'm open to all your input as I've pretty much exhausted my knowledge on this. Kuksul, thanks for setting this up. Their international shipping costs are very fair, unlike many US sellers. I'll be ordering this as soon as my local shop confirm they can install it for me. I rode about 50 more miles on it today. Felt great all day, no issues. I'm still blown away at how hard I can launch this bike now, it's actually the best launching bike I've ever felt. There also seems to be some 'squish' when shifting gears with the clutch, which makes it feel smoother. I love it. Also, the more I played around, the more I think the pulsing I was complaining about was simply engine pulses under load. Since I have never been able to give it that much throttle on take-off, I never felt the engine chugging. I could replicate the same exact vibration by simply dropping down to 2000RPM (which is way too low for this engine) and rolling on the throttle. As soon as it gets over 3500, it smooths out. Still, I'm curious to hear your guys' feedback! Ordered the basic Spring kit today. Will be checking back in for questions ... if I'm brave enough to tackle the install. I think I can do it ... if I go slow ... and ask questions. The semantics can be confusing at times and some of the pics are hard (for me!) to decipher. I hope once I get in there things will clear up. Thanks again for helping us all out on this one.